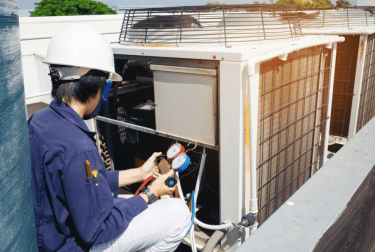 Air-Cooled Process Chiller, (optional) PLC Controlled VFD Condenser Fan Motor Calibration | Legacy Chiller Systems, Inc.
October 25, 2018 December 10, 2018 Martin King Comments are off. The attached PDF includes information needed to verify factory settings and/or field calibrate optional PLC controlled VFD condenser fan motors on air cooled condenser chiller models. All air cooled chiller models with factory installed (optional) PLC controlled VFD condenser fan motors.